Terminating parental rights is a serious step and it isn’t done easily, as Atlanta family lawyer Jeff Cleghorn explains. Get an overview of the process and how attorneys work to figure out whether terminating parental rights is what’s best for a child. Are you serving divorce papers or have you been serviced with divorce papers? What happens next? Learn from Atlanta divorce attorney Jeff Cleghorn what happens next according to Georgia divorce law and how the best divorce attorneys in Atlanta can ensure you get fair treatment. Though gay and lesbian couples can’t legally marry in Georgia, there are many legal steps they can take to protect their families and assets. Atlanta attorney Jeff Cleghorn is an expert in LGBT family law and can guide you and your family toward solid legal decisions concerning wills, medical directives and more. 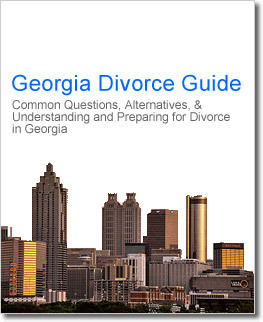 Considering getting a divorce in Georgia? Watch this and learn whether you have grounds for divorce based on the details of your case. Atlanta divorce attorney Jeff Cleghorn explains the typical causes for splits and how Georgia divorce law views each. Giving back to the community is a key goal of Kitchens, New & Cleghorn. Here divorce attorney Jeff Cleghorn describes the firm’s work supporting at-risk youths, LGBT families and more. Georgia divorce law allows for divorce mediation – a process that can work both for and against you as Atlanta divorce attorney Joyce Kitchens explains here. Don’t take chances with your divorce – get information on Georgia divorce law and the best divorce attorneys.